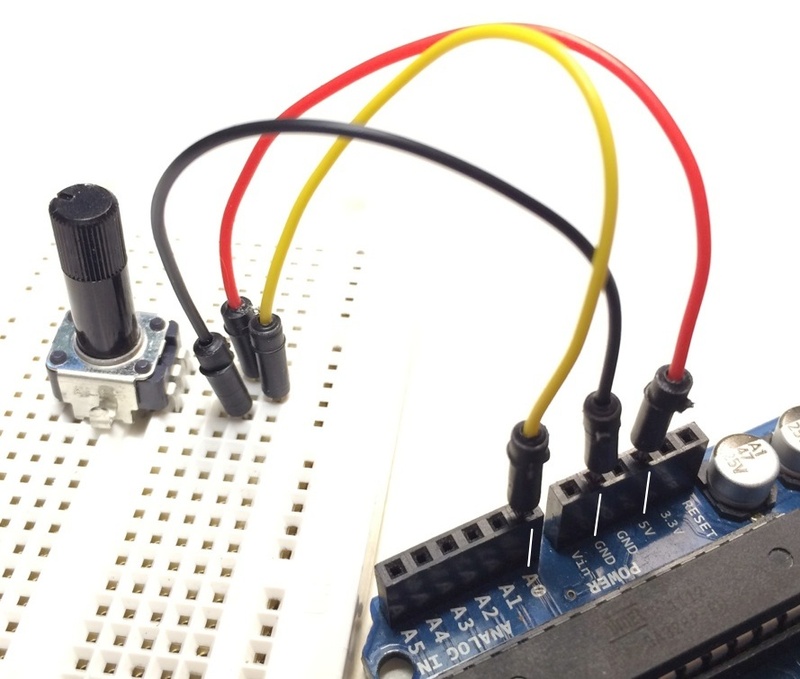 To make something with the Arduino, hook up some sensors (inputs) and actuators (outputs). 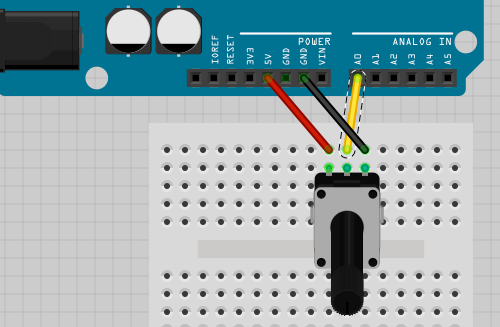 A good way to get started with an Arduino is to hook up a 10K linear “potentiometer” (knob) to an Arduino analog input. Hook the center wire from the knob, which is the “signal” wire (usually WHITE or YELLOW) to an Analog In port, marked “A0”. 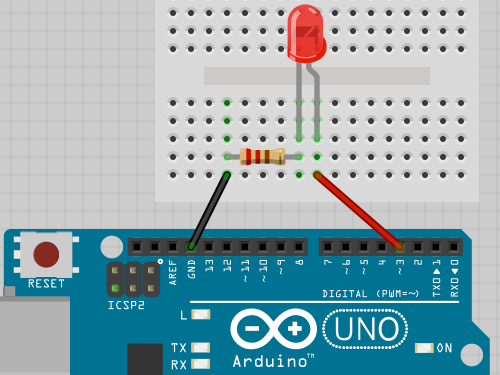 For another kind of input sensor, hook up a light sensor by following the below diagram. To have an actuator (output), hook up an LED by following the below diagram. 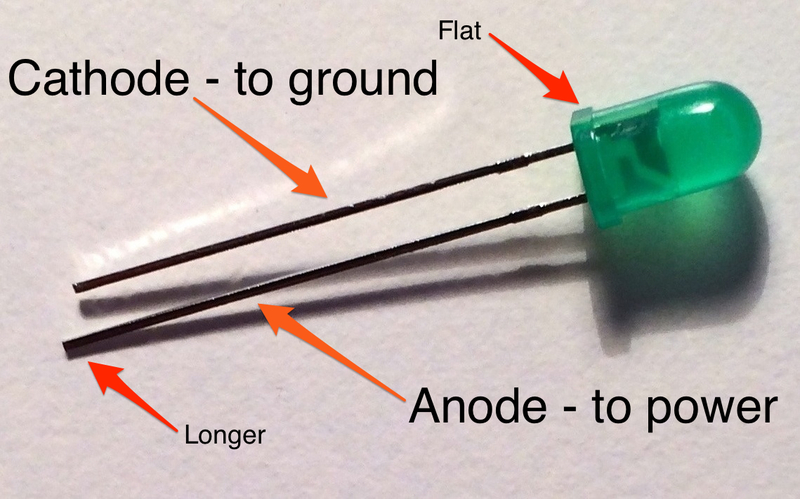 The resistor shown has RED, RED, BROWN, which indicates that the resistor has a value of 220. You can try any resistor from 100 ohms to 400 ohms.